Wanting to experience a bit of Portuguese history and civilization, weary of walking the many nature trails through the countryside? 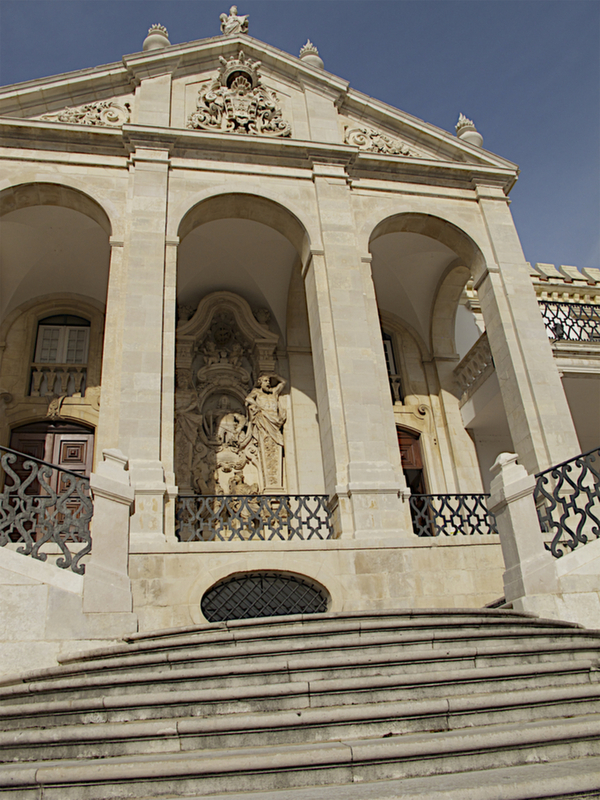 Consider visiting and touring one of the oldest and finest universities in the world in Coimbra. From Casal de São Simão to Coimbra is approximately 50 km. … the ‘slow’ drive will take you less than an hour even at its busiest and the route is through a very picturesque countryside. Alternatively, you can take the brand new A13 where you get to Coimbra in half the time however you will have to pay some tolls! If you have the time, we recommend taking IC8 to Avelar (toward Ansião) and then follow the signs to Coimbra, on IC3. Take your time and go slowly in order to appreciate the countryside, – you’ll avoid red traffic lights and fines as a bonus! At the Espinhal’s roundabout, follow the direction to Penela. If you are feeling peckish watch for the Pastor (Shepard) cafe, just 200 metres on the left where you can (or even must) sample the best renowned custard tarts in the nearby. 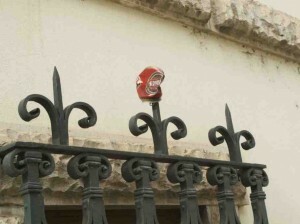 Proceed to Condeixa and then to Coimbra, paying attention to the signs. When you get to Coimbra, exit towards Santa Clara Bridge (Ponte de Santa Clara). After crossing the bridge, turn right and park the car, because the rest of the tour is on foot. 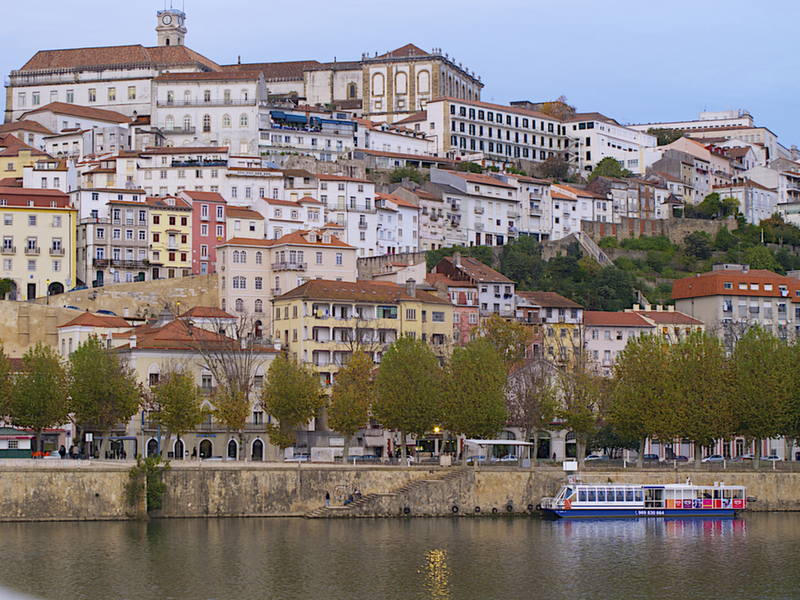 Coimbra is a quiet, picturesque town where university life is central to everything. You should see the Tourism office at the beginning of your walk … it’s close to the river and you can get detailed information to maximize your day. The University, founded in the thirteenth century, just over 100 years after the founding of the country, is easily visible as its tower is seen from anywhere in the city. The courtyard of the University consists of a set of majestic buildings, dating from the eighteenth century. 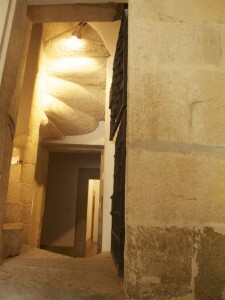 You have to visit the Hall of Capelos, still used today for the most significant ceremonies of university life (solemn doctorates, honoris causa, investiture of the Rector), the Chapel of Saint Michael where you will find a pipe organ with baroque decoration, the Hall of Arms and finally … the Library. It is a beautiful building with baroque art shown at its finest throughout the three rooms that are decorated with lacquered wood inlaid with stunning decorations and complete with optical illusions on the ceiling. Before leaving the library go down to the lower floor where you will find ‘The Deposit,’ recently opened to the public where cataloging books is still in progress. Down yet another floor there lies the ‘Academic Prison,’ endowed with facilities perfectly able to take any student to repentance and perhaps even the professors that are less compliant with the laws of the University. Take a virtual preview of what you’ll see. There is an entry fee into these places but if you are a teacher or student at any level, regardless of your nationality, you’ll have a discount of up to 50% in low season (don’t forget to bring documentation). If you are over 65 years old you qualify for the same discount. you can expect to see a line-up and have a bit of a wait to eat. Having seen the university … now it’s time to visit the city of Coimbra and sample its fares. 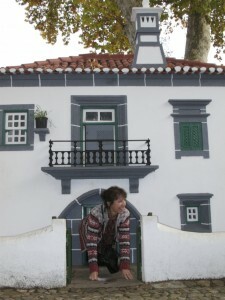 If you have kids (or even if not), don’t miss “Portugal dos Pequenitos (Portugal for the Little Ones”. You’ll have lots of fun visiting those little houses while learning about the importance of Portugal in the history of the world. Try and find time to listen to the real fado of Coimbra in “Fado ao Centro” at 6 pm. Check the site, make a reservation and enjoy 50 minutes of Portugal’s traditional ‘blues and soul’ music. Coimbra has a lot more points of interest that can be discovered in guided tours conducted by the friendly Go-walks, recently cited with awards by TripAdvisor. You can also plan your trip in more detail and attend events or shows that can be found in Agenda7Coimbra or at the official website of Tourism of Coimbra. When returning to Casal de São Simão, you might want to repeat the custard tart or better still, try a patty pig (or pig rissole) at the Pastor (Shepard) found this time on your right on the return drive.